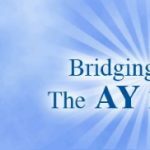 The AY Foundation, Inc. (AYF) serves as the heart of the Yuchengco Group of Companies. Established in 1970 as the Bayanihan Foundation and renamed A Wise Foundation in 1983 and AY Foundation three years later, the foundation manifests YGC’s commitment to corporate social responsibility. Through contributions from YGC member companies, the AY Foundation has various social development programs focusing particularly in the education, health and nutrition sector.